PANS is suspected as a culprit in up to 25% of all pediatric OCD diagnoses. Children are often diagnosed with obsessive-compulsive disorder (OCD) or an eating disorder, but the sudden onset of symptoms separates PANS from these other disorders. In addition, they may have symptoms of depression, irritability, anxiety, and have difficulty with schoolwork. PANS/PANDAS can affect a wide range of areas from brain development to metabolic processes. The signs and symptoms that are commonly seen include obsessive-compulsive, motor tics, vocal tics, irritability, mood swings, focus or attention diminished, academic/cognitive difficulties, and loss of motor coordination. This may have occurred during the first years of life or later into the teenage years. The one thing you know for sure is that there was a specific event: infection or adverse reaction. PANS is an acronym for Pediatric Acute-Onset Neuropsychiatric Syndrome. PANDAS is an acronym for Pediatric Autoimmune Neuropsychiatric Disorders Associated with Streptococcal Infections. The main difference between the two is that PANDAS is explicitly identified using an ASO (antistreptolysin O) lab test that reveals an unresolved strep infection as the primary cause. PANS, on the other hand, may or may not have an identifiable infectious cause. From this point, we will use the term PANS to describe both of them. While there may be an infectious organism or a specific event that triggers the development of PANS, the origin itself is immune based. An organism or chemical enters through the blood-brain barrier and the immune system does not like this and becomes overactive. During this period of overactivity, it becomes confused and actually starts labeling brain tissue as bad. The region attacked is predominantly the basal ganglia, which is a relay system responsible for regulating emotions, cognition, movement, sensory control, and much more. 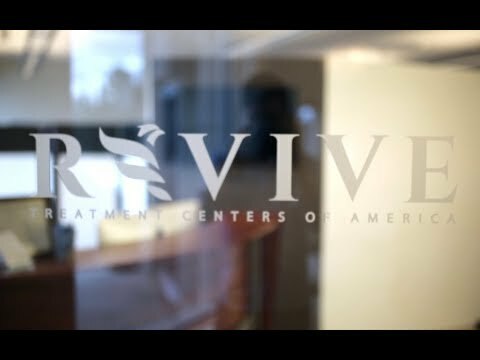 At Revive we specialize in providing treatment to the immune system followed by neurological rehabilitation. Your treatment may include antibiotics, IVIG, supplementation, followed by brain stimulation; such as sensory-motor integration, repetitive transcranial magnetic stimulation (rTMS), hyperbaric oxygen, and rotational therapy. Beyond the neurological system, there are many factors that can impact the presentation of PANS: the immune system, diet, sleep, and stress (to list a few). By integrating knowledge of the brain and influence of these factors, we are able to be very specific with targeted therapies which create lasting neurological changes. Your treatment plan is designed specifically for you and is not a protocol. Vestibular therapy is a very powerful tool in the world of neurological rehabilitation. When we look at brain development we see that movement drive brain growth and one of the most important areas for sensing movement is the vestibular system. When we utilize rotational therapy to active the vestibular system we see an increase in activating in several cortical regions.